No-one needs reminding of how Tiger Woods has beaten the odds. The former long-running world No 1 returned from spinal fusion surgery which threatened to end his golf career, possibly for good. Yet after a long rehabilitation he came back to win on the US Tour last year and received yet another honour when he was named the latest recipient of the Ben Hogan Award handed out by the Golf Writers Association of America. Woods took the award, beating fellow nominees Patrick Cantlay and Billy Harmon. Previous recipients of the Hogan Award include names like Aussie Jarrod Lyle, former US PGA champion Paul Azinger, J.B. Holmes, Stacy Lewis, Erik Compton and Casey Martin. Woods expressed his gratitude at receiving an award named after Ben Hogan as well as joining a group of inspirational individuals. 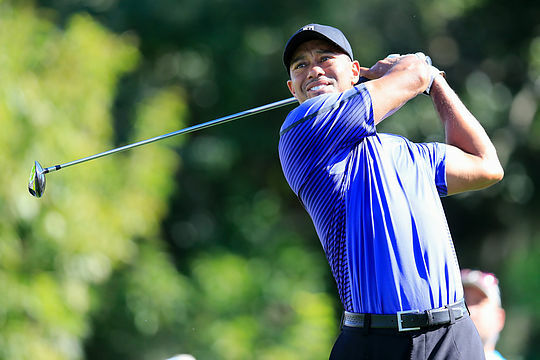 “I feel very fortunate that I was able to return to a normal life with my kids, and I understand what a privilege it is to play competitive golf again,” he said. Other awards include Johnny Miller receiving the William D. Richardson Award for his “outstanding contribution to golf” as he intends to retire from the commentary booth this year.